Monday, Tuesday, Wednesday and Thursday 1430-1600 hrs. The NJROTC Rifle Team at Floyd Central High School is not only a team sport, but also an individual sport. Rifle team shoots in three positions: prone, kneeling, and standing. To be on the rifle team, you have to be extremely focused, patient, and you must have good grades. The NJROTC team finished fifth in the Navy in 2016. 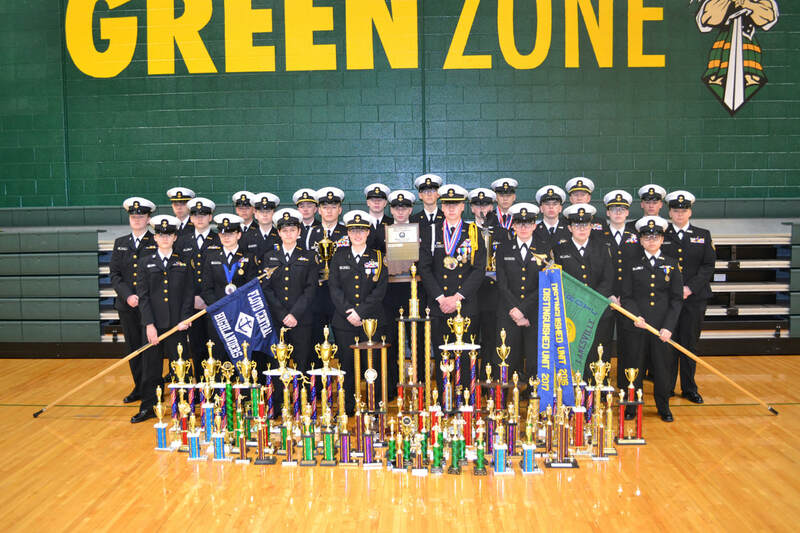 The NJROTC Drill Team at Floyd Central High School consists of three teams: Color Guard, Armed Infantry Drill Regulations (IDR) and Unarmed IDR. The drill team has accomplished many things and achieved many of the team goals. In the 2015/2016 school year the drill team placed 3rd overall in the area championship. Thursday morning 0630-0720 and afternoon 1430-1600 hrs. Monday, Wednesday, and Friday 1430-1600 hrs. Monday, Wednesday and Friday 0630-0720 hrs.